A lot of people lose the keys to their vehicle on a daily basis. Save your time and cash by contacting AZ Car Keys to replace that lost car key. 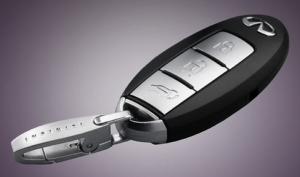 Contact us right away to acquire Infiniti car key replacement services from the pros. Replacement Infiniti Car Keys In Phoenix, AZ! Infiniti is not a new car model in the market. In fact, it is one of the oldest brands and new models are still being manufactured to date including 2016 releases. Infiniti is a line of luxurious cars produced by Nissan, the renowned Japanese auto maker. Infiniti cars only started selling in the US in 1989 but Nissan was producing car models long before that. 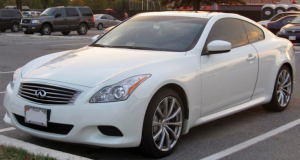 However, Nissan was found of producing mainstream models and Infiniti sprung to meet the demands of a more upscale US market especially since brands such as Toyota and Honda (also of Japan) were producing competitive designs like Lexus and Acura. Since then, there have been various Infiniti car models and car keys since each design has its unique set of keys. The popular Infiniti cars include Infiniti QX4, Q50, Q60, Q70, QX50, QX80 and M30 among many others. Some models have been discontinued while others are still in production. • Ignition keys – This type of Infinity car keys is used to start the car’s engine and goes into the ignition keyhole. They may depict different technologies that include a combination of codes required before you can start the ignition even after entering the key. • Door keys – This set of keys opens your SUV’s doors (driver and passenger doors). Like most car locks, the keys are one-way and can only be used from the outside to lock and open windows. Modern designs feature extended alarms that can close windows and close/open the doors. • Boot key – This is used to open and close the boot or storage compartment found behind the last passenger seats. Just like many other modern luxury cars, Infiniti car keys may feature technology that allows programming and reprogramming. This tech is used to enhance security and prevent people from stealing your car even if they have accessed your keys. You may need to replace your Infiniti car keys with a new set for different reasons. It is not unusual to lose or damage your original pair, or when they stop functioning due to “aging” or car accidents that damage the locking system. Other times, you just need duplicate keys for your family member or to extract a key stuck in the ignition or locked inside the car. Regardless of your reasons, it is important to choose credible professional locksmiths who have experience in the field. Car key replacements are quite delicate and you must ensure the locksmith offer security and quality guarantees. Each Infiniti car comes with a unique set of keys that can only be used on that particular car. When you get replacements for lost keys, it is advisable to go for a complete replacement of the door locks to ensure the lost key can no longer be used to open your car. What’s more, do not forget to review all other aspects of choosing a business. AZ Car Keys is always the right choice when looking for replacement car keys. Call AZ Car Keys For Replacement Infiniti Car Keys Today! Infiniti is one of the best luxury car models produced by Nissan which makes them relatively expensive. You should protect your cars by using keys that are in good condition. A slight bend or damage may be enough to interfere with the whole system and increase vulnerabilities that car thieves use to access your car which is why you should pay keen attention on the different types of Infiniti car keys you have and their current condition. Got my Infiniti Key Quick! Top notch company. Quick, personable and reliable. They had my new car key in my hand within an hour and a half of picking up my phone!